The INNO IFS-10 Fusion Splicer provided by FiberOptic Resale Corporation will help enable Ralls County Electric Cooperative (RCEC) to provide high speed internet access across Ralls County allowing an instantaneous exchange of information for both business and residential customers. The Ralls County Project is very tough on equipment especially in an outdoor environment with very windy, dusty, and sometimes wet conditions. I've personally used the INNO IFS-10 Fusion Splicer and it performed well for me and appears to be very fast. 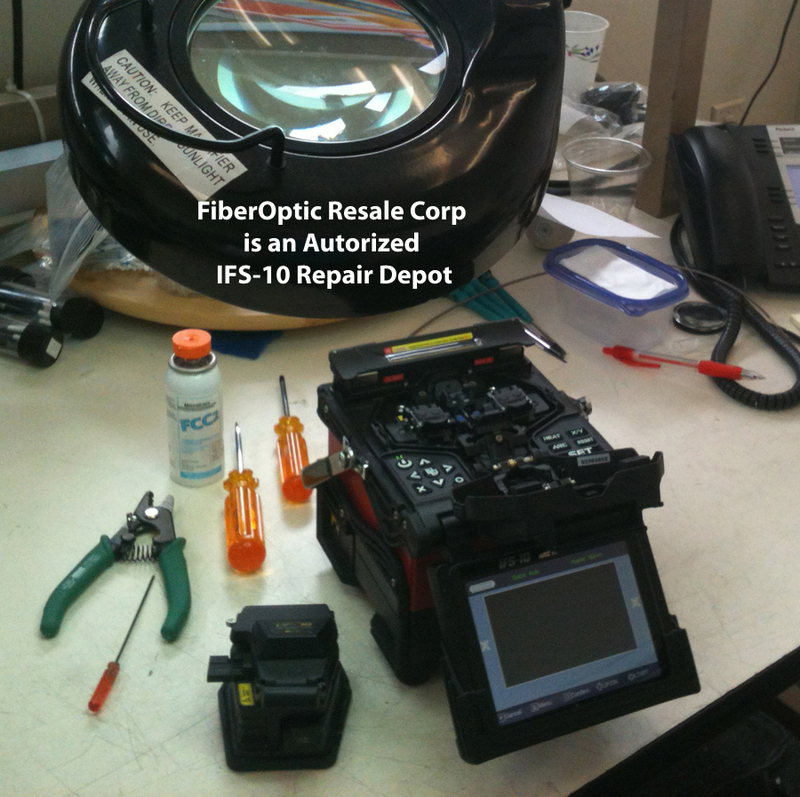 The IFS-10 Fusion Splicer is Successful in FTTH Project Contributing to Laying More Than 450 Miles of Fiber Optic Cable Across the State. After receiving a federal grant to provide a fiber-optic network for their residential and commercial customers RCEC contracted Atlantic Engineering Group for the project. Atlantic Engineering Group partnered with FiberOptic Resale Corp to provide the INNO IFS-10 core alignment fusion splicer to aid in this enormous task. Although the weather didn't always cooperate the first phase of this project was completed with more than 450 miles of fiber optic cables laid across the state with the assistance of the IFS-10. Ralls County Electric Cooperative (RCEC) recently updated progress on its FTTH project. 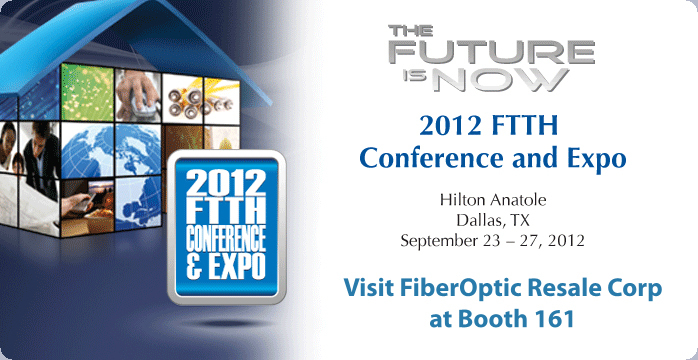 As of May 2012, 956 miles of fiber optic cable has been built, making that portion of the project 89% completed. The INNO IFS-10 fusion splicer has been actively used in this massive project and will continue to be the fiber optic splicing work horse until the completion of the project. The IFS-10 core alignment splicer with NEW DCASA Digital Core Alignment Technology is made in Korea. The INNO IFS-10 can be used in harsh environments including high altitudes. Waterproof, dustproof, anti-shock resistant as well as windproof makes the IFS-10 Fiber Master one of the toughest core alignment fusion splicers on the market today. FiberOptic Resale Corp (FORC) is a dedicated value added stocking distributor and service center servicing the fiber optic industry. We bring high-quality, cost efficient products to the CATV, Contractor, Enterprise, and Telecommunications market place. These products are centered on the Outside Plant (OSP), Central Office (CO), and head end areas of our customer's environments. We are proud to be the top U.S. exclusive distributor for the INNO IFS-10 Core Alignment fusion splicer. FORC is an authorized distributor for BlueLight, LIGHTEL and Precision Rated Optics products we also offer refurbished fiber optic USA channel products from Fujikura, Fitel, Sumitomo and more. With a wide variety of services including in-house technicians we repair, clean & calibrate fusion splicer’s OTDRs and cleavers. FORC is the only authorized repair depot on the east coast for the INNO IFS-10. Our clients benefit from our “In the field” philosophy with on-site demos and training sessions to help technicians keep up to date on the latest products. To request a product demo please call 877-287-7535 or use our demo request form. INNO Instrument was founded in Seoul Korea in 2007, with their corporate sales and technical staff facility located in Houston, Texas. 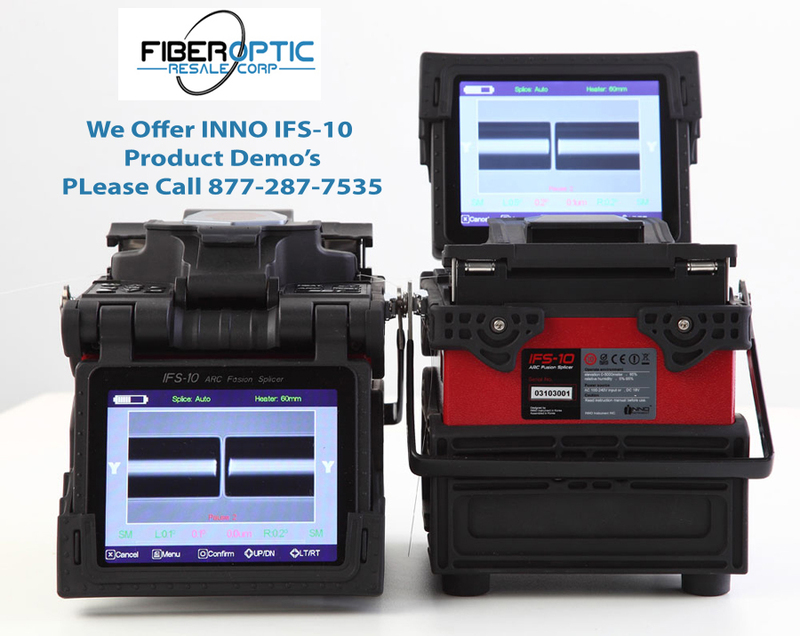 Specializing in the latest technology of core alignment splicing INNO Instrument designed the IFS-10, Fiber Master for technicians who require a splicer that is dependable, efficient, and cost effective. The IFS-10 fusion splicer has gone through vigorous testing and compares to top selling, more expensive fusion splicers from Fujikura, Fitel and Sumitomo. The IFS-10 Core Alignment Splicer is fast becoming one of the top fusion splicer choices in the industry. INNO Instrument is continuing to develop their fusion splicer products to eventually include mini fusion splicers, connector splicers and ribbon splicers. INNO Instrument is ISO Certified and is sold in 55 countries. Their commitment, vision and values are to improve high quality, low cost splicers and cleavers increasing their visibility and expertise in global market. IFS-10 The Fiber MasterDustproof - Waterproof - Windproof - Anit-shock www.ftthcouncil.orgMeet us at the 2012 FTTH Conference & Expo IFS-10 Repair DepotThe only authorized repair depot for the IFS-10 on the east coast. 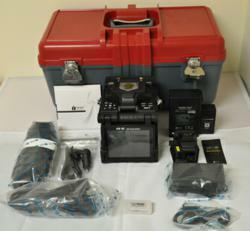 IFS-10 Fusion Splicer FeaturesSee all the IFS-10 features up close Request IFS-10 DemoCall 877-287-7535 to request a demo. 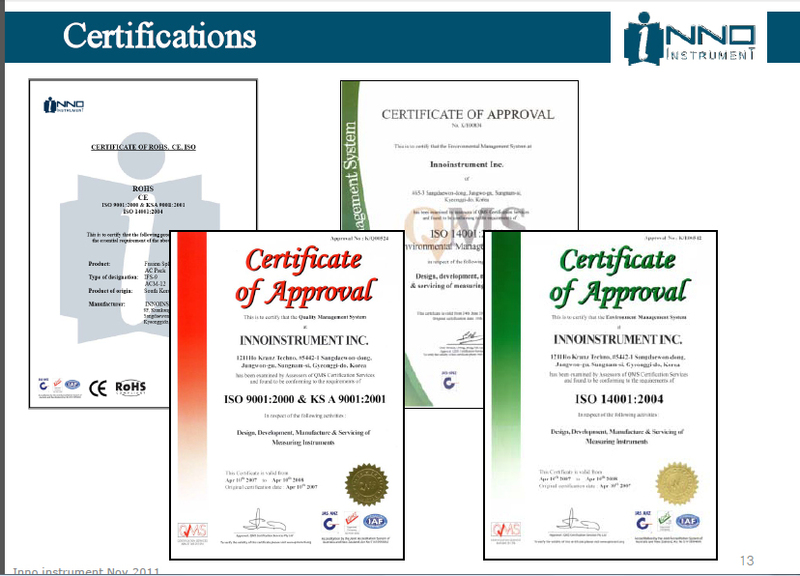 INNO Instrument is ISO CertifiedINNO Instrument is dedicated to quality and demonstrate this through their certifications.